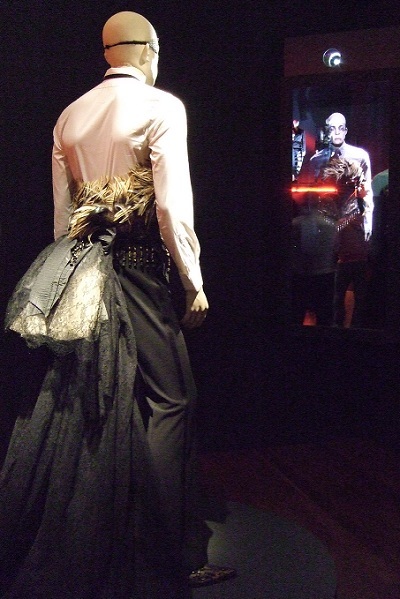 One of the first things that struck me about the Jean Paul Gaultier retrospective exhibition at the de Young Museum in San Francisco is the chatter. 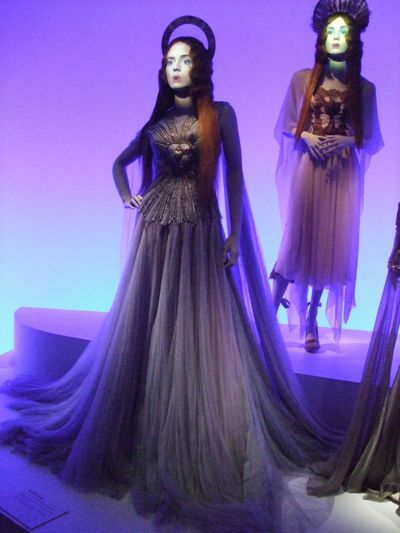 On my recent visit, the chatter came not from the shoulder-to-shoulder crowd, but from the mannequins. 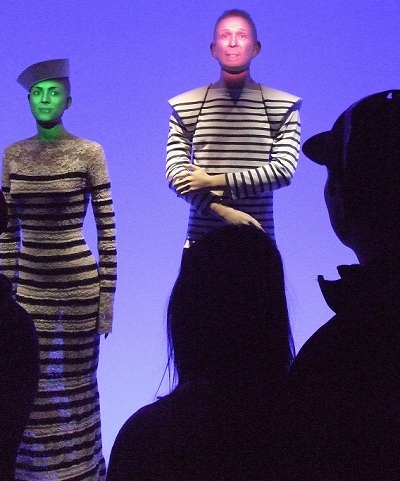 In a clever display, video is projected on the faces of many of the mannequins throughout the show. The first is the designer himself, who greets the crowd with a patter of anecdotes about his work, his inspiration and his life. 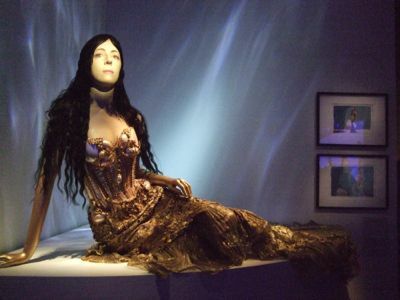 Gaultier’s monologue seems to be strictly stream-of-consciousness, but he drops references which return throughout the exhibition. 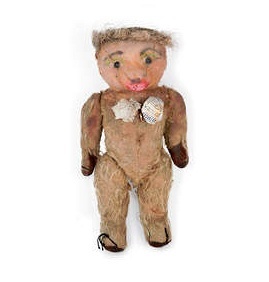 After hearing him chatter about his childhood teddy bear Nana, it was fun to later see the well-loved toy wearing the cone bra he designed as a child. 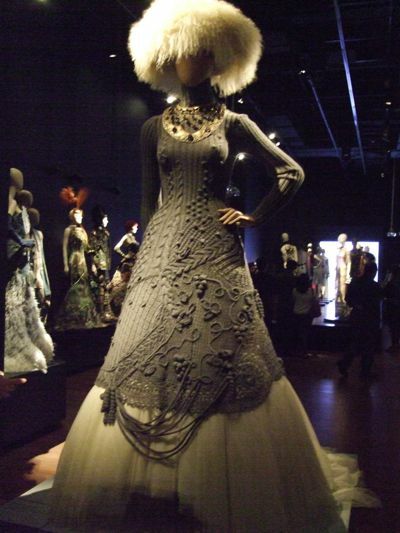 Montreal-based theater company Ubu Compagnie de Création worked with Gaultier to create the animated mannequins. “It animatronics,” I head one person exclaim, before she was able to get close enough to see the projection. 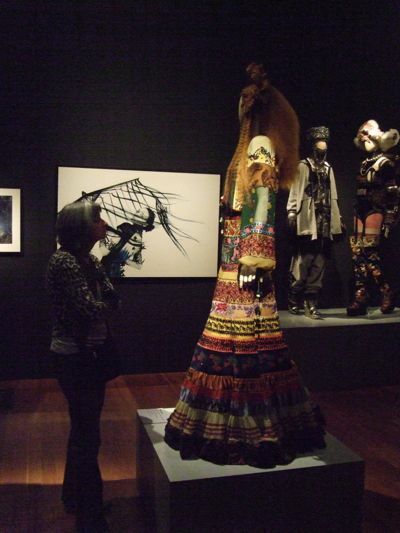 The animated mannequins continue throughout the show, chattering to themselves, singing and speaking to each other—and to the audience. 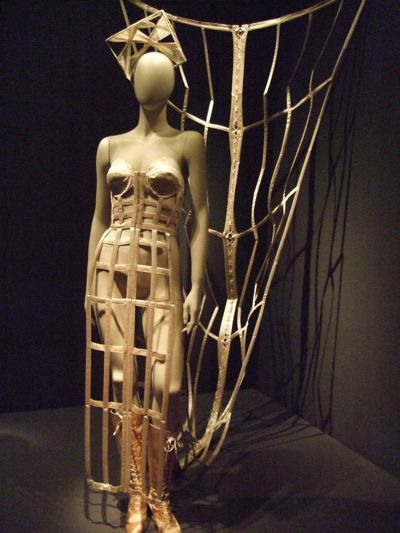 The comprehensive exhibition covers Gaultier’s career from the founding of his first collection in 1976 to today and includes many of the stage costumes he has created for Madonna and Kylie Minogue, as well as the film costumes he created for “The Fifth Element” and “The Cook the Thief his Wife & her Lover.” There are film clips—including one of an 18-year-old Gaultier with his first fashion industry employer, Pierre Cardin. 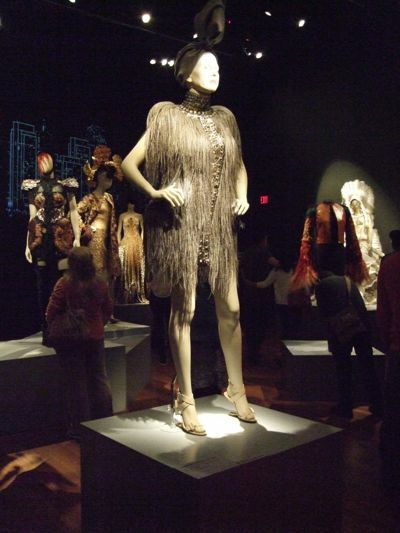 The 140-piece collection on display conveys the designer’s masterful hand, his sly sense of humor and highlight from his ground-breaking collections that played with gender identification, religion and traditional Western and non-Western dress. 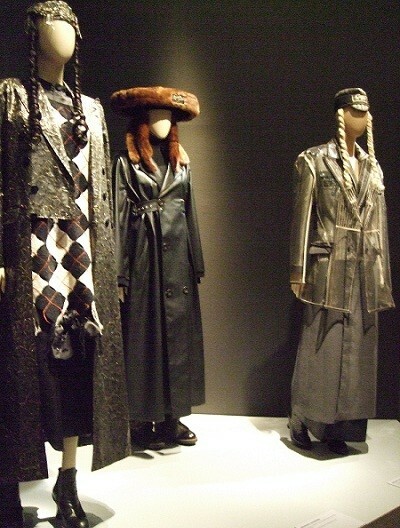 “The Fashion World of Jean Paul Gaultier From the Sidewalk to the Catwalk” runs through Aug. 24. For more information, visit themuseum’s website.